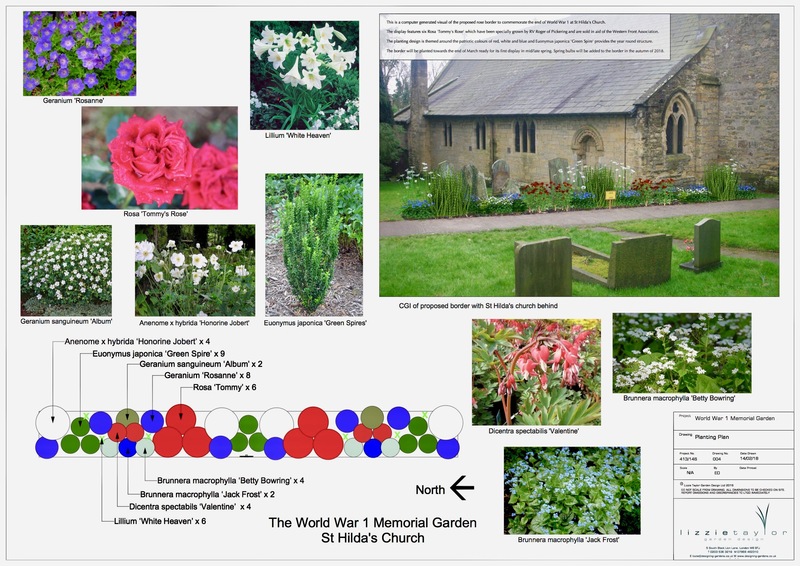 A rose garden is being designed at the entrance to St. Hilda’s Church to commemorate the end of the First World War. The design is shown below. 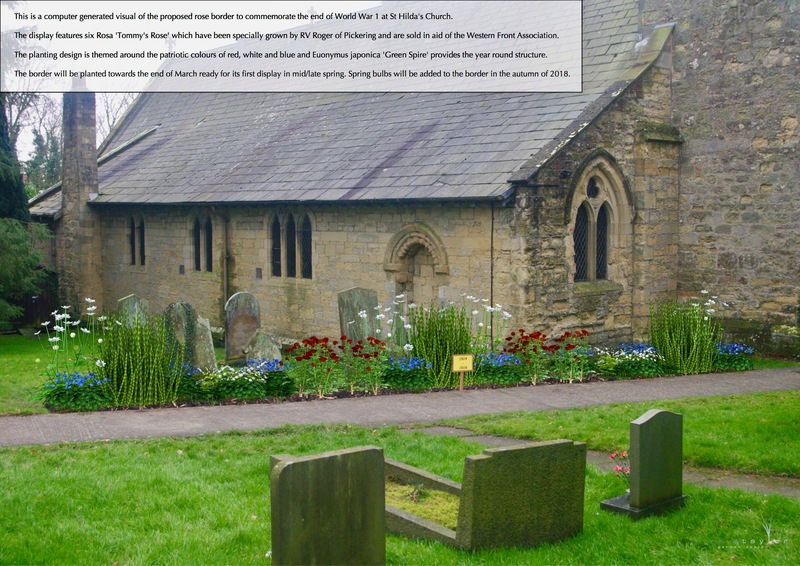 Donations towards setting up the garden are very welcome. Contact Sheila Harrison on 01439788279.